This is the site that lets you know about the Royal Navy presence in Leeds. Also other associations and affiliations so you can get your Royal Navy fix in and around Leeds. The Royal Navy has always had a synonymous relationship with the City of Leeds. Ever since Leeds raised £9m towards the building of HMS Ark Royal during World War II. The current association with Leeds is HMS Audacious an Astute Class submarine that was launched in April 2017. After the decommissioning of HMS Ark Royal in March 2011. The Royal Naval Reserve has had a presence in Leeds since HMS Ceres moved from Wetherby to Yeadon in 1984. HMS Ceres was a communications school for the Royal Naval Reserve but was closed in 1995. The Royal Naval Reserve returned to the City of Leeds in May 2005 as Ceres Division of HMS Sherwood. Most recently becoming a ship in its own right in September 2015 commissioning as HMS Ceres. The unit was officially opened in February 2016 by the Princess Royal. RMR Merseyside is based in central Liverpool and draws recruits from the North West, North Wales, the Midlands, Yorkshire and the Humber. The Royal Marines have a detachment at HMS Ceres. 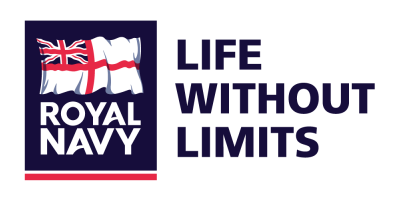 With over 20,000 members across 300+ branches in the UK and overseas, the RNA are a family of current and former Naval Service personnel, relatives and supporters of our country's Royal Navy. They have a UK wide footprint but locally there are branches in Leeds, Huddersfield, Bradford, Haliafax, Wetherby, Harrogate and many more. To discover where click here. Sea Cadets is different from school. There's a lot of learning. But it's done through activities – on the water, on land and in a unit – and the volunteers leading by example. It's also different from home, a break from screens and being cooped up inside. The platform offers youngsters is built on the foundations of a Royal Navy ethos. Their customs and traditions inspire the work and focus the Sea Cadets commitment to supporting teenagers today. The Sea Cadets are a national organisation and locally have units in Leeds, Huddersfield, Bradford, Keighley, Dewsbury, Castleford, Wakefield and Harrogate. Part of the Sea Cadets family, Royal Marines Cadets enjoy all the exciting activities on water that Sea Cadets do, as well as branching off into serious adventure training too. Specialising in orienteering, field craft and weapons handling is what makes Royal Marines Cadets unique and you can join from the age of 13 to 18. The only Marine Cadet unit within West Yorkshire is in Leeds.